The wine shows a mature, golden yellow in the glass, with a well-integrated aroma of French oak in both nose and on the palate. Creamy tones of honey complete the long lasting taste of this wine. Stored over a year in a French oaken cask of 500 litres. 100% clear grape juice was spontaneously fermented with yeast for 8 months. After that the wine matured for another 6-8 months in a cask. 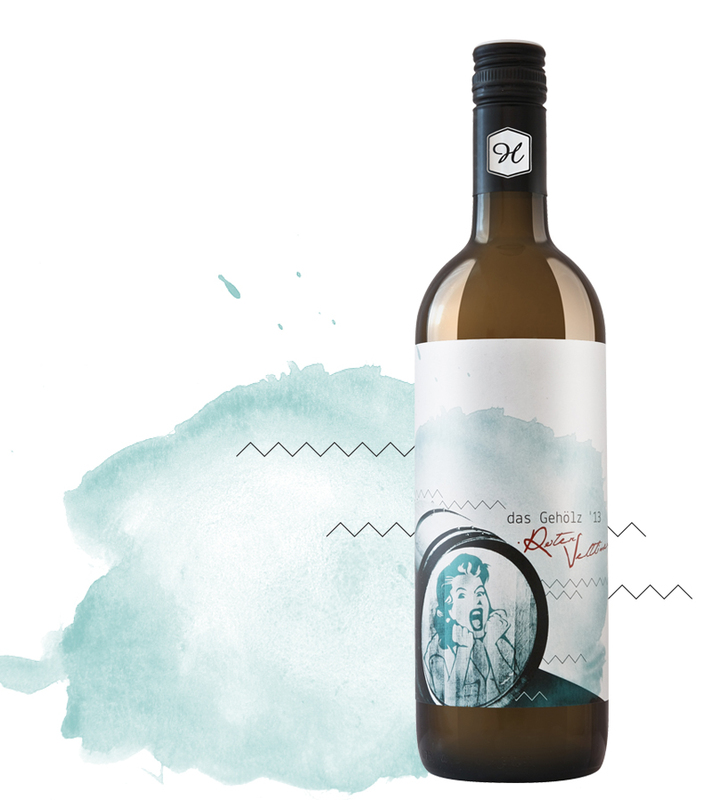 Roter Veltliner – a fickle diva and very demanding when being produced in the vineyard. “das Gehölz“ – besides “the Orange“ – claimed far more time than our other wines. When you look at the Wine Lable you can see our Diva.